There is nothing more important to the success of your business than your system for managing accounts receivable, billing, and collections. Sometimes this system is called a "Collections Management System;" whatever it is called, you need to set it up and work it diligently. How will people pay you? This depends primarily on the type of business and whether your customers are individuals or companies or both. 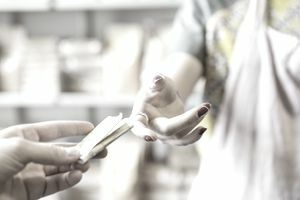 There are some established ways to take in money from customers of all types: The more different types of payments you accept, the more helpful it will be for customers. But you will have to pay a premium for handling some types of payments, such as credit and debit cards. Online payment methods such as PayPal, from individuals and companies. Credit or payment plans, from both individuals and business customers. Other external payment sources, such as insurance companies, in certain types of companies. Set Up Payment Processing "Rules of Thumb"
After you have determined what types of payments to take, you will need to set out some rules for your employees regarding the acceptance and handling of these payment types. For example, what are your rules for accepting checks? Do you do credit checks on new customers? When do you allow customers to pay over time? When do you take a customer to small claims court? Send out bills to customers who owe you money. Send a billing at least once a month, or more often if you are really serious about collecting money. Depending on your type of business, you may have customers who do not pay when purchasing, or who are paying over time. Running an accounts receivable aging report will show you when to send out bills and when to initiate stronger collection methods. For customers who do not pay within a reasonable amount of time (as determined by your "rules of thumb,") initiate collections proceedings. You may want to send an account to a collections agency or to small claims court. Decide which is best for each type of account. Setting up and working a collections management system can help you collect the money that you are due and keep cash flow moving through your company.